Known as the “root beer with bite,” Barq’s® has nestled into its well-earned space within the root beer category, thanks to a strong taste and flavor credentials. After well more than a century of growing popularity, Barq’s is considered the quintessential American root beer and enjoys 94% aided brand awareness.¹ Among Barq’s root beer drinkers, Barq’s has earned a 51.9% loyalty, with young adults and millennials as the brand’s largest consumer base.² In addition to drinking Barq’s from the bottle, can, or fountain, one of the world’s favorite ways to enjoy the beverage is by pairing it with ice cream to create an old-fashioned fizzy treat, a root beer float. The story of Barq’s began in 1898 in Biloxi, Mississippi, when Edward Barq purchased Biloxi Artesian Bottling Works and began making root beer. ³ By day, Barq led his horse-drawn carriage to general stores and beaches to sell his soon-to-be famous root beer.³ By night, Barq’s wife bottled the beverages for the next day’s sales. The hard work and strategy paid off, and today, Barq’s is a brand with national distribution and regional strongholds along the Gulf Coast. Barq’s is known for a strong point of differentiation that includes bite, an attribute that has been part of the brand since it was created. Its simple slogan, “Drink Barq’s. It’s Good.™” encapsulates the pure deliciousness of the beverage with only four words. And though people around the nation know the original Root Beer and Diet Root Beer flavors, Barq’s also offers limited-distribution of French Vanilla Crème Soda, Red Crème Soda, and Diet Red Crème Soda. 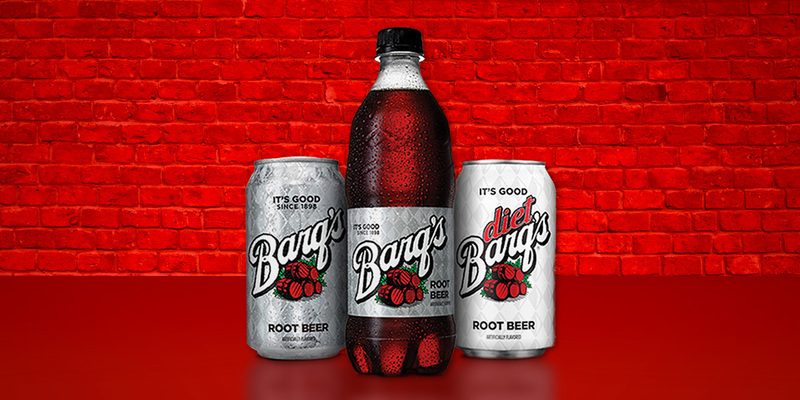 As the root beer segment hits $800 million in retail sales in 2015, which accounts for 6% of non-cola sales, there is room for growth and brand dominance.⁴ And that’s precisely what Barq’s plans to accomplish. Barq’s beverages are currently available for fountain dispensers, frozen dispensers and Coca-Cola Freestyle, as well as in 12-oz. bottles and cans, 2-l bottles and 20-oz. bottles. The 7.5-oz. mini cans, .5-l six-packs, and 12-oz. eight-packs are in limited distribution. And if you’re looking to mix up something special, here are a few ideas. Rebirth for "The Real Thing"